The big news about them is that they only charge 0.48% across the board. 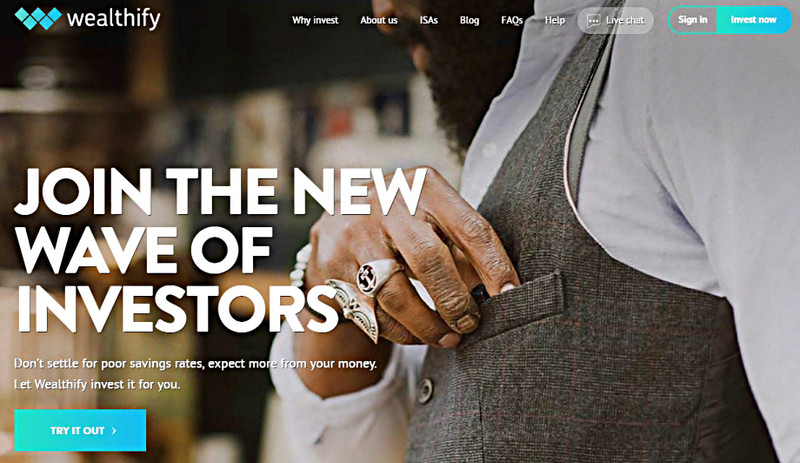 That makes them the cheapest true robo-advisor that we have yet seen. 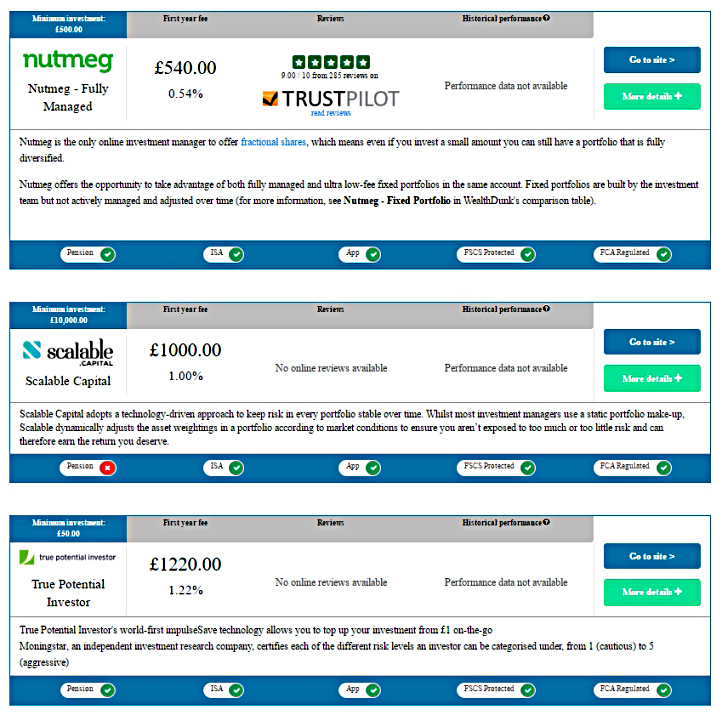 They have a particular advantage over the rest with smaller portfolios (£250K and less). Unfortunately, they compare themselves to a ridiculously expensive (2.56% pa) “traditional advisor”, but I suppose we can’t blame them too much for that. 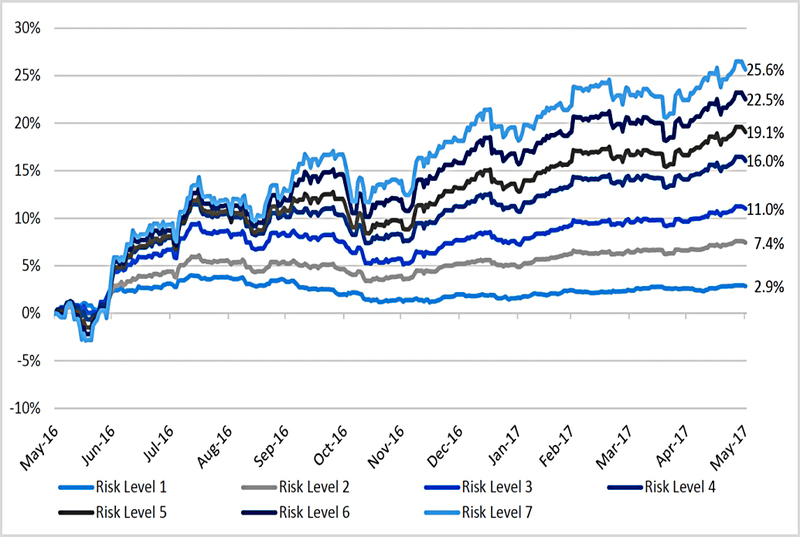 The key point is that evestor are still more expensive than DIY portfolios of ETFs and index funds. But they sneak under the 0.5% pa barrier, into the elite section of our summary table. One of the founders also founded Moneysupermarket. 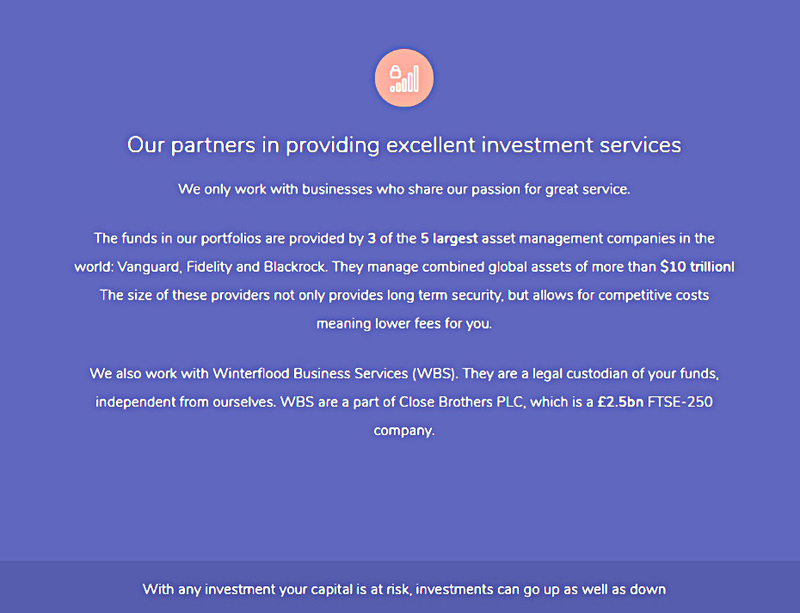 evestor use funds from Vanguard, Fidelity and Blackrock, and use Winterflood (part of Close Brothers) as a custodian. So that’s not a bad start, is it? From their above-the-fold photo, it would appear that Wealthify are targeting bearded hipsters with waistcoats. Let’s see if there’s anything of interest for the rest of us. They point out that people not in the global stock market are missing out. This is fair enough, but the past five years have not been typical. And the annual growth of 12.48% pa is unlikely to be repeated. They offer the usual range of portfolios from cautious to adventurous, with three more in between. They only offer ISAs, not SIPPs. Like evestor, Wealthify also use Winterflood as a custodian. And they provide one-year historical returns for each of them. Except that these are not real returns, they are simulated based on the transactions they have carried out for actual customers. Wealthify fees are 0.7% down to 0.5%, depending on which fee band you are in. You are also charged a “typical” 0.17% for the underlying funds. So that’s 0.87% and 0.77% then down to 0.67% in reality. To get your fees down further, you can use a Circle. This is effectively a bulk discount for groups of investors. The individual accounts remain separate, but all the members receive a fee discount. Note that this saving is only on the account fee, not on the fund fees. This isn’t quite good enough to make it on to our leaderboard. 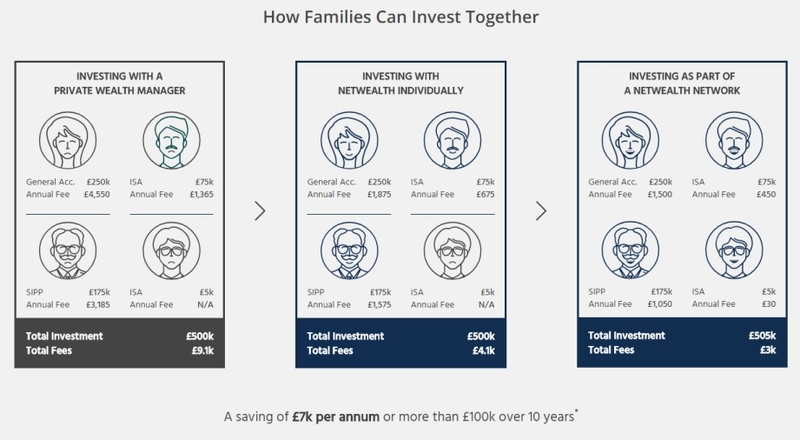 Netwealth has a similar offer to evestor – you can choose your own initial path or talk to an advisor. 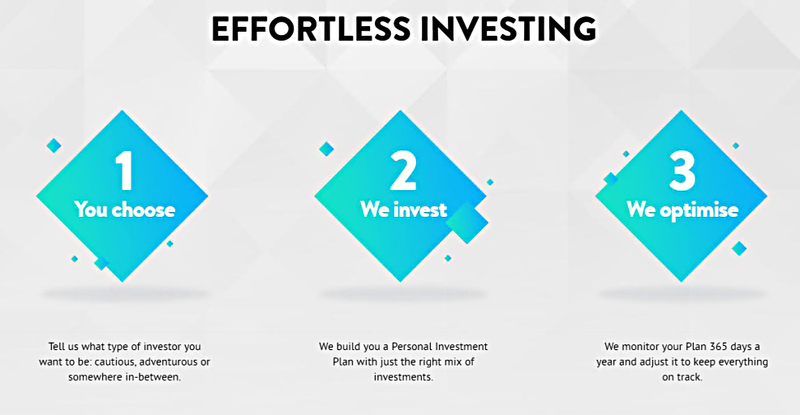 Once you get started, the portfolios are discretionary – NetWealth make the day-to-day investment decisions on your behalf. They offer SIPPs and ISAs (and JISAs, if you’re into that sort of thing). There is a £50K minimum investment. Merryn Somerset-Webb is on the Advisory Board. Netwealth’s fees are unfortunately too high. In the same way that Wealthify offers Circles, NetWealth offers Networks. As before, these are essentially group discounts. Here the groups are limited to 8 people. The fees are calculated on the total investment across all members, though the pots are kept separate. This isn’t really fair to the group members who contribute more, but perhaps some people will see this as an advantage rather than a disadvantage. This system ought to come into its own when you can get enough people together to stump up £500K between them. I could certainly imagine setting up a group for my friends and family who have a bit less cash than me. Unfortunately the fees are still too high. 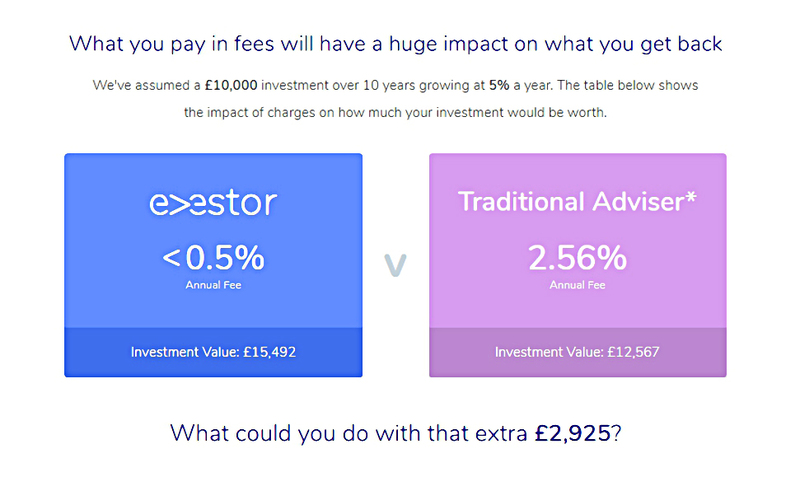 Even at £500K, adding the 0.35% platform fee to the 0.25% fund fee gives us an annual charge of 0.6%. 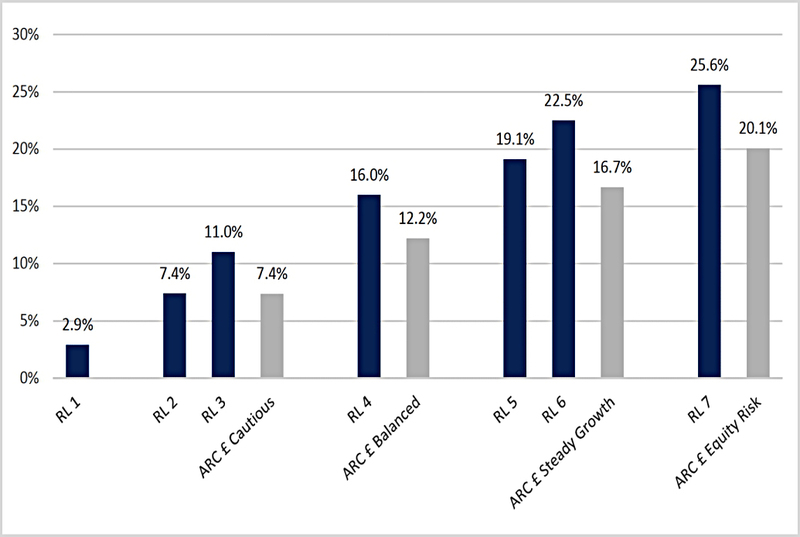 NetWealth have some performance data for their portfolios, but there’s no benchmark on the chart. 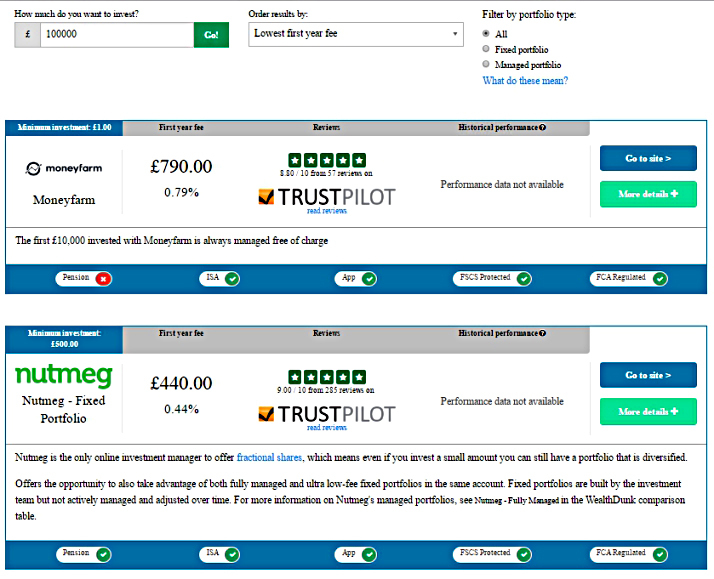 They also provide a comparison to their peers, but I don’t recognise these comparators. 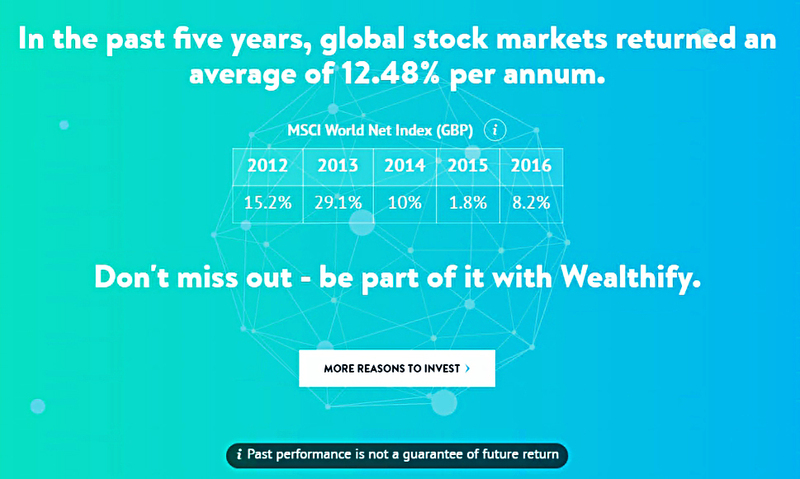 Our final port of call today is WealthDunk. 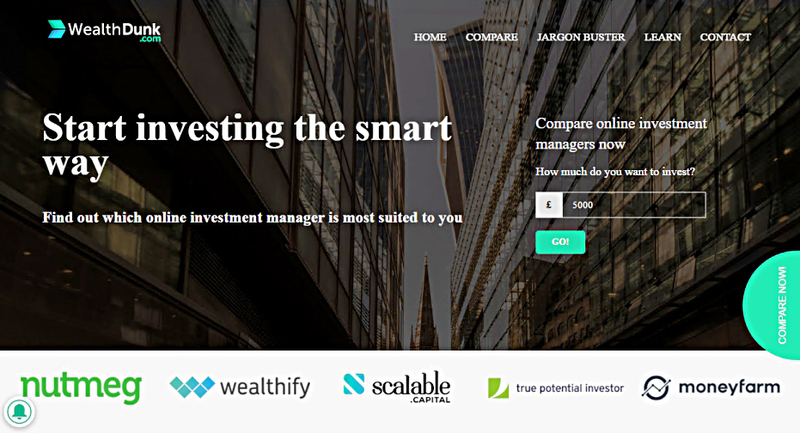 This is not a Robo-Advisor, but a comparison site. 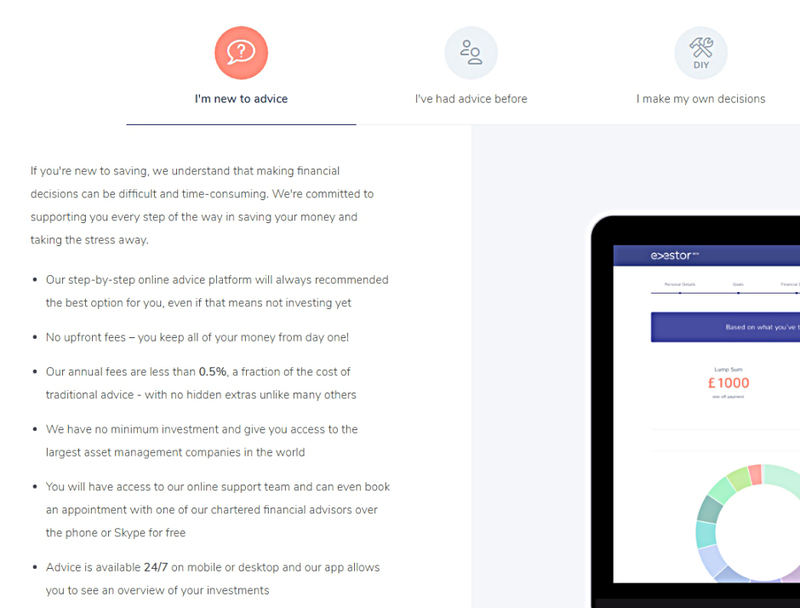 It’s clear that not all the robo-advisors are listed, and I have a suspicion that not every fee is included either. This site has the potential to grow into a useful service. But for now, stick with these articles, and with our own summary table. Though I would still recommend our own summary table instead at this point. You can find the live summary table – and links to all of the review articles – here.